Online Copyright Registration India. Protect Your Creative Works against unauthorized copying. BizIndiGo Copyright Registration services will give your creative work such as music, books, designs, manuscripts, films etc., a legal Status, thereby making it an Intellectual property, giving you exclusive legal right over your creation. Copyright Registration is necessary to protect the creators, creative work such as music, books, manuscripts, software's, films, fashion designs, website etc., from being copied and used for commercial purposes without the creators permission thus causing tremendous loss to the creator. Copyrights operates against unauthorized copying, the taking of another creation, without paying for it. Any literary, dramatic, musical and artistic works including cinematography films and sound recordings can be copyrighted.Ideas, procedures, methods of operation or mathematical concepts cannot be copyrighted. Can names or titles can be copyrighted? Copyright does not protect titles or names, short word combinations, slogans, short phrases, methods, plots or factual information. Copyright does not protect ideas or concepts. To get the protection of copyright a work must be original. A trademark registration is taken to protect a brand name, logo or slogan and a copyright is a protection given to unique content like a book, music, videos, songs and artistic content. A person who is the owner of the work to be copyrighted and that person can be an individual or company. 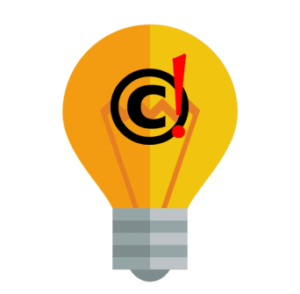 What is the validity of copyright? Copyright is valid for duration of 60 years once it is taken. Can the rights of copyright can be transferred or sold? What are the documents required for registering a copyright? The work copy which is to be registered along with the address and identity proof of the owner is required. In case of a Company, the name of the Company along with its Certificate of Incorporation and Address proof is required.